Help for the heavy things of the daily routine- the CARSON basin dumper. 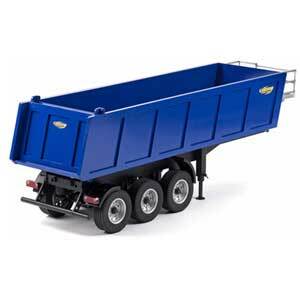 is for use in combination with Tamiya's 1/14 scale R/C tractor trucks. - 1/14 scale R/C assembly kit. - Length: 458mm, Width: 193mm, Height: 298mm, Wheelbase: 272mm.